It sounds more like a fixture in a science fiction film than something you’d find on the Pentagon’s budgetary requests, but the proposal for Fiscal Year 2020’s budget includes a $304 million request for funding for a program to develop directed energy weapons that can be deployed in space as a next-generation missile defense system, Defense One reported Thursday. The problem is, these weapons don’t exist right now. That means that first the Pentagon must demonstrate that such a weapon is possible before it can even begin to develop a device usable for missile defense, something it’s requested $15 million and six months of time to do. The MIssile Defense Agency (MDA) hopes to have a working weapon in orbit by 2023. Such a weapon has been built before, and even tested: in 1989, an experiment called BEAR – Beam Accelerator Aboard a Rocket – successfully fired a neutral particle beam into space as part of the US Strategic Defense Initiative (SDI), an attempt to get a leg-up in the Cold War with the USSR by building a space-based missile defense system. 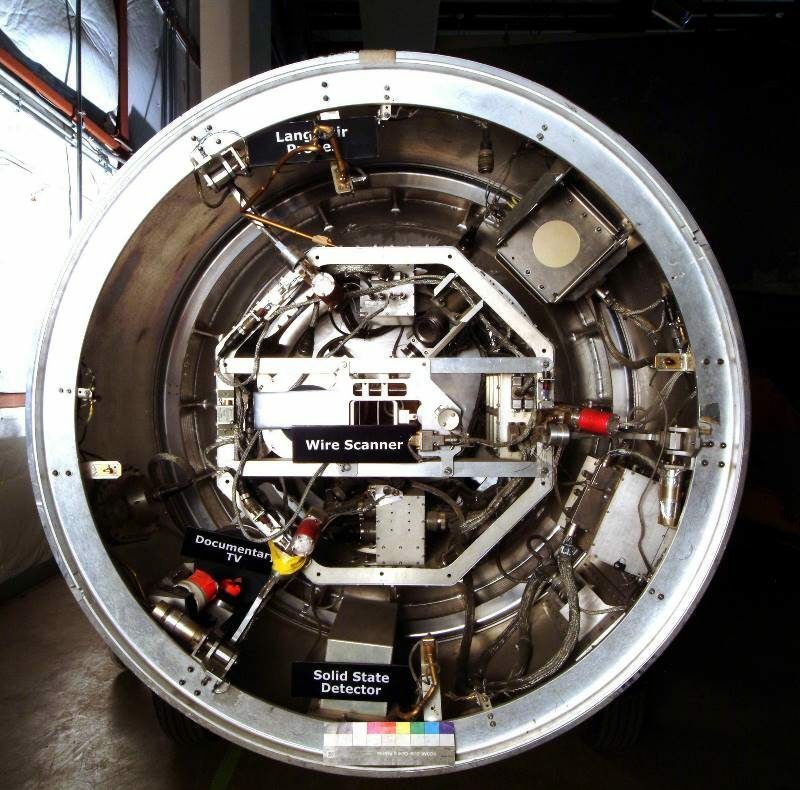 “The 24-foot, 3,500-pound beam accelerator was launched to an altitude of 125 miles on a Minuteman 2 rocket,” the Los Angeles Times reported after the July 1989 test. The device, which fired a neutral particle beam into space for four minutes, is now owned by the Smithsonian. “The addition of the neutral particle beam effort will design, develop and conduct a feasibility demonstration for a space-based Directed Energy Intercept layer. This future system will offer new kill options for the [Ballistic Missile Defense System] and adds another layer of protection for the homeland,” according to a Tuesday MDA document obtained by Defense One, which noted the “new kill options” refers to targeting missiles as they leave the launch pad instead of intercepting them once they leave the atmosphere. “That’s a really hard battle space to go after, right?” the Pentagon official told Defense One. Sputnik reported last November on the enthusiasm shown for energy-based weapons by US Defense Undersecretary for Research and Engineering Michael Griffin. At the Center for Strategic International Studies (CSIS) that month, he said the Department of Defense was pursuing “a renewed emphasis on laser scaling [meaning scaling up the power of lasers] across several technologies,” an emphasis that would be reflected in upcoming budgets, he said. However, space-based weapons raise more than a couple of eyebrows, even if they’re not weapons of mass destruction, which are explicitly banned by the 1967 Outer Space Treaty. China and Russia have repeatedly introduced draft treaties on banning all weapons in outer space, Sputnik reported. In 2014, the US rejected the draft Treaty on Prevention of the Placement of Weapons in Outer Space and of the Threat or Use of Force Against Outer Space Objects (PPWT) on the grounds that it was “fundamentally flawed” for not covering ground-based weapons, Space News reported at the time. Many believe that Directed Energy Weapons such as these are already in operation and responsible for a number of wildfires, especially those in California. These would of course not be publicly acknowledged, and could indeed be classed as “weapons of mass destruction” therefore technically running afoul of the Treaty.